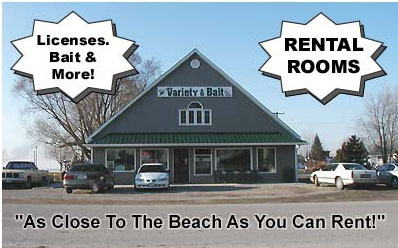 Your one stop shopping for all your camping supplies, boating needs and groceries. • Comfortable, spacious and room for up to 5 adults - a perfect place to relax and trade stories after a day on the lake! • Large, elevated Deck overlooking the beach! to arrange your Reservation Today!